A non-profit group called The Park People are on a mission to plant trees in Denver neighborhoods threatened by urban sprawl. DENVER — A non-profit group called The Park People are on a mission to plant trees in Denver neighborhoods threatened by urban sprawl. The program is sprouting some changes across the metro area. 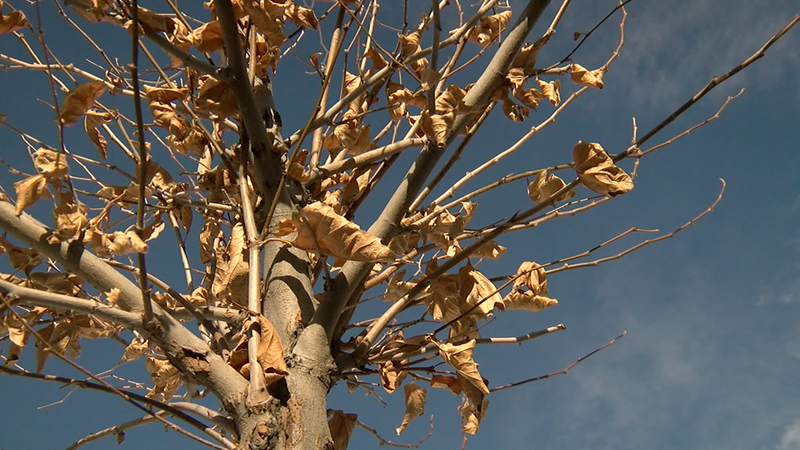 "It's a difficult environment for most of the trees we have in our urban area," said Denver resident Jan Winkler. But Winkler is doing her part to make trees an integral part of her Denver neighborhood. Winkler has planted seven trees in her yard thanks to The Park People. The 50-year-old organization is dedicated to enhancing Denver's parks and open spaces. Once a year, their Denver Digs Trees program offers free and low-cost trees to Denver residents, with the goal of minimizing the concrete invasion in the Mile High City. "With the population skyrocketing, development going at a fever pitch, it's more important than ever to plant trees, reduce that heat island and keep Denver a green, beautiful city," said The Parks People Program Manager Leah Shafer. Shafer said planting trees also increases property value, supports energy efficiency, and improves the air and water quality. The Park People has targeted 28 Denver neighborhoods, including Winkler’s neighborhood, Athmar Park. Through the Denver Digs Trees program, The Park People have added more than 51,000 trees to the Denver metro area. April 27, Denver residents can pick up street or yard trees for free or for as low as $10. Residents have until Feb. 15 to register. "There's a limited number of trees, and I should let other people have a chance," laughed Winkler.